The Fujifilm instax camera is perfect for any photo lover. It’s compact, easy to use and provides the same instant gratification as a pic taken on your mobile with a twist of nostalgia as you can actually hold it in your hands. You get to watch your photo come to life as the film develops, so what could be better than the Fujifilm instax? Enter the Fujifilm instax WIDE. The film is twice as wide as all other instax models (instax mini film is 86 x 54mm while instax WIDE film is 86 x 108mm), which allows you to capture more of the shot. But with many of the same features you love about the instax, the WIDE offers a bigger instant photo experience. The instax WIDE 300 comes in a sleek black model. Other instax models come in a range of colours such as flamingo pink or cobalt blue. The WIDE boasts some impressive features unique to its model, such as a tripod socket, a focal zoom dial, rear-mounted LCD and flash and brightness control buttons, suggesting it’s for a slightly more experienced instant photographer. While other instax models have a manual switching system for exposure control, the WIDE is automatic. The flash on other instax models is constant firing flash, while the WIDE has automatic electronic flash. It also has a longer effective flash range of 0.9m-3m when most of the other instax models’ range is 0.6m-2.7m. 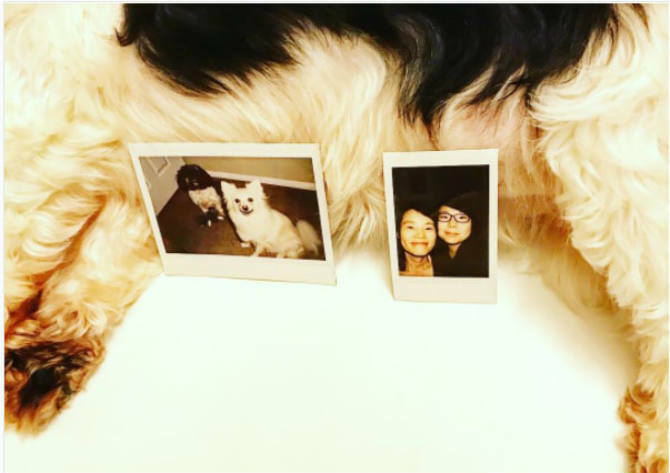 Both the instax and the instax WIDE are easy to use and fun for all photographers, regardless of age or experience. Whether you choose smaller or wider film, your instax photography is sure to capture the magic of ordinary and extraordinary moments. Be sure to check out our blog for more instax tips, tricks and crafting ideas!